The popularity of the fashion and home décor world has drastically increased in the past few years, encouraging individuals to aim at investing in designer statement pieces to stand out from the crowd. The hunt for exclusive designs has become the norm. 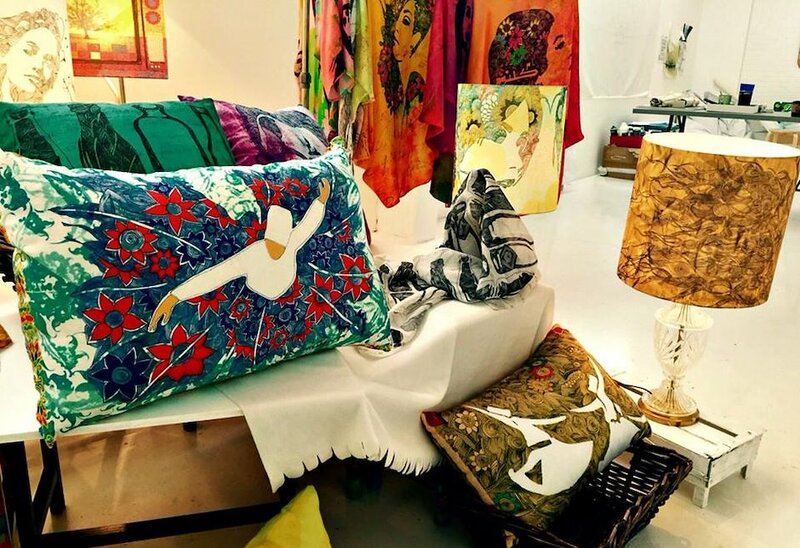 A Dubai based designer, Mina Siddique has aimed at creating unique art work and translating it onto clothing wear and home accents. The brand features home décor such as cushions and lamps, along with this, it recently launched a fashion line including scarves, clutches and capes. The brand ‘Mina Siddique’, stands out from the crowd mainly because of the process of production. The finished products are designs of art created by the talented designer, Mina herself and then translated onto products. One of her well known designs is the abstract dancing dervish with a pop of color and floral print. The richness of colors brings out the design and adds a fusion of colors in your living rooms. The design also comes in a subtle color palette of browns and beige for individuals with minimalistic taste. 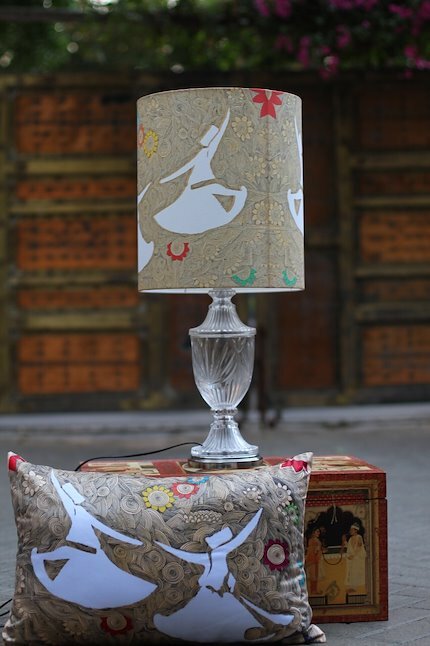 The abstract dancing dervish design is not only translated on cushions but also lamp shades that can be placed in living rooms alongside pillows. The brand itself is considered to stand out mainly because of its different approach to the world of home décor and fashion. Mina Siddique is an artist first and then a designer who works with different mediums and expressions of art.